Kids movies are great. As cinephiles, they’re the first titles we fall in love with, even if many of them are far from perfect. Some of them, though, are great and still hold up when you watch them as an adult. But even then, there’s an issue. Sometimes you go back and wonder how these productions possibly got away with what they did. Not all of these films are the immediate go-to for a list of kids movies, but all of them showcase scenes that were absolutely horrifying for younger viewers. Keep in mind that I’m not talking about the saddest scenes here. Those can be traumatizing in their own right and would probably make for their own article. Instead, these are the scenes that intended to scare the crap out of you and succeeded admirably at doing just that. Most of them still get me, if I’m being honest. You’ll probably be wondering why none of the scenes below come from Disney, as Disney itself is responsible for so many scenes that tortured us in childhood. But that’s exactly why you won’t find much Disney below: They’re so traumatizing I’ve already given them their own article. The dip scene in Who Framed Roger Rabbit? As a whole, Roger Rabbit is frequently blurring the lines between a kids movie and an adult movie, really pushing toward that “adult” category with characters like Jessica Rabbit. It’s aimed at kids, but it’s got a lot that will either go right over their heads or scare the holy hell out of them. 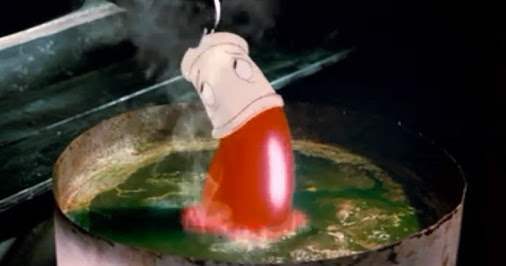 But the scariest sequence is easily the shoe being melted up in Judge Doom’s evil dip. This is one of the most unsettling villain plots ever. The dip is literally a device designed to kill your childhood. The whole point is that it will melt down cartoon characters until there is absolutely nothing left, and it’s made all the more impactful by the fact that famous characters like Dumbo and Donald Duck make appearances in the film. We start off Jumanji with an extended prologue about a young boy who feels generally ignored by his family, who then discovers a mysterious board game. It’s all pretty standard until he actually tries to play the game. The scene is horrifying. He rolls the dice and takes his turn and then gets sucked into the game itself. At that point, the audience has no idea of his fate. The CGI hasn’t held up well, but the overall impact results in the same terror I felt watching it as a kid for the first time. Watching this boy, not much older than me at the time, slowly sucked into a game—of all things—and then simply disappearing was mortifying. Plus, he’s trapped in that game for twenty-six years. Unlike virtually every other kid’s movie, he never gets to fix his strained relationship with his parents because they died while he was trapped in there. 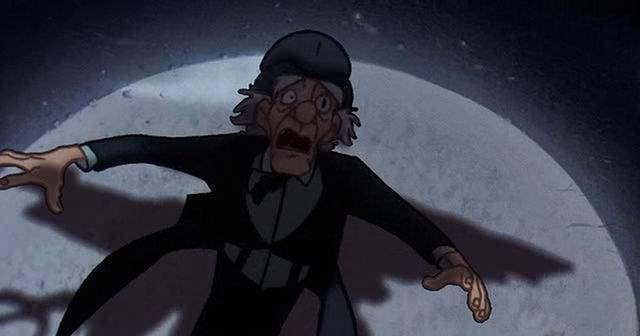 As a kid, this scene absolutely ruined me. This is one of the first times I ever remember really reacting to a death in a feature. First of all, this is Atreyu’s beloved pet and companion. He cares so much for that horse. Second of all, the horse doesn’t just die, because pets die all the time in kids movies. No, Artax the horse commits suicide. It succumbs to the swamps of sadness, just giving up and letting himself sink into the bog while Atreyu does everything he can to pull it out. This is such a coldhearted death, done in such a supernatural way that it’s as creepy as it is gut-wrenching. Casper’s great. It’s one of the most underrated kids movies of all time, in my opinion. There’s so much to love about it. For the most part, it has a great sense of humor that really goes back to what made this character so iconic and popular for so long. He’s Casper the friendly ghost. He’s just a constant source of fun. 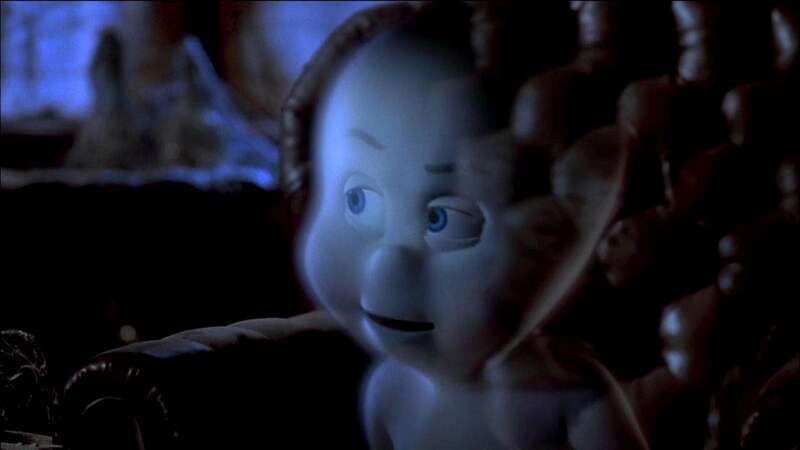 Until you hit this scene, of course, in which we’re bluntly reminded that before he was the friendly ghost, he was once a healthy human child. As a ghost story, it constantly skirts the lines of kid’s horror, but this long monologue in which Casper recounts his own death is absolutely harrowing and much scarier than any of the film’s actual “spooky” scenes. First of all, this character is terrifying to begin with. He looks like an old silent era, German expressionist villain with his long dark coat and contorted face. He has a literal screw for an eye and it’s constantly gleaming in the low lighting of his very unorthodox circus. He takes the lovable dinosaurs of the movie and turns them into rampaging monsters. The showmanship of the character really does a strong job representing Hollywood shallowness and cynicism. A cruel character always results in a cruel death in these features, so we have Screweye trapped alone in the dark, literally being picked apart by crows until only the screw remains. It’s a downright nightmarish sequence in a film you really wouldn’t expect that from. 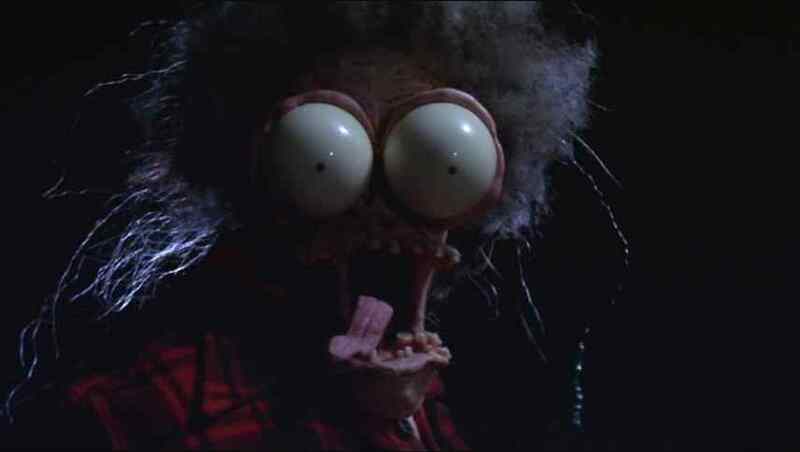 Large Marge scared the living hell out of me. Everything else on this list I could actually watch, but I always either averted my eyes or simply left the room the moment Pee Wee stepped into her truck. First, you have the ghost story, which builds up enough creep factor that you could just shout “Boo!” at the end and it would still work. Instead, you have that horrifying Claymation moment where her face just contorts into something that looks silly, sure, but is completely frightening in the moment. Especially for a kid who is watching it for the first time.